Undoubtedly one of the finest views in the Cape.  Greenways Golf Estate overlooks the whole of False Bay, Cape Point and Gordon’s Bay. A mere 40km from Cape Town in the heart of the Western Cape Wine Route, with a private 9 Hole golf course, clubhouse, tennis courts and swimming pool enclosed in a high security area. Stunning sunsets and whale watching can be enjoyed from the privacy of each luxury apartment. The apartments are individually decorated with ocean views, air-conditioning, satellite TV, fully equipped to make your stay as comfortable and unforgettable as the Cape itself.